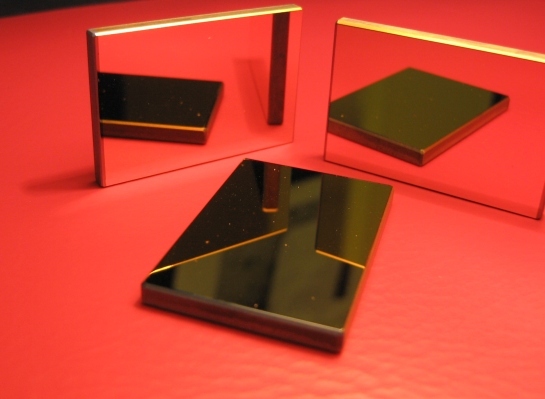 Anti-Reflection Coatings: Infrared AR coatings, DLC coating and more! Alkor Technologies offers great coating opportunities for different optical components operating in UV, Visible or IR region. Antireflective coating is used to increase throughput of transmitted light of a component thus increasing the overall performance of the instrument. Antireflective coatings range from single layers to high efficiency multi-layer coatings. The antireflective coatings can be vacuum deposited onto available substrates such as, Germanium, Silicon, Sapphire, Zinc Selenide and more for your infrared application. These NIR and FIR antireflective coatings can be designed for use at angles of incidence at 0° or away from the normal. It is also possible to optimise for particular wavelength bands. Contact our sales team and discover how Alkor Technologies high quality Anti-Reflective coatings and service can improve your instrumentation and supply chain experience. With single layer coatings it is possible to optimise for particular wavelength bands. The single layer anti-reflection coating can be used in the 0.9 to 20µm waveband. Single layer coatings are cost effective compared to multilayer coatings as they are restrictive. Single layer AR coatings are not broadband however they are extremely efficient if used at a particular wavelength, these are classed as “V” coatings. Peak transmittance can be over 95% at a required wavelength. High efficiency multilayer broadband coatings using multi-layers are used in the 3-5µm ,5-8µm or the 8-12µm wavebands, which are usually referred to as the atmospheric windows. It can have a peak transmittance of over 95% with a transmittance of over 90% at 2 to 5µm.